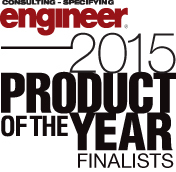 Eden Prairie, MN, June 9, 2015	(Newswire.com) - ​DRI-STEEM Corporation’s (DriSteem) Low-maintenance Humidification System, which significantly extends intervals between humidifier maintenance, was recently selected as a finalist in the 2015 Product of the Year competition showcasing practical innovation conducted by Consulting-Specifying Engineer magazine (CSE). DriSteem’s Low-maintenance Humidification System was chosen as one of five finalists in the Air Movement and Humidification category by a panel of professional consulting engineer judges who regularly design and specify HVAC, electrical, fire protection, and plumbing systems. 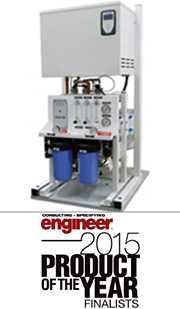 CSE subscribers are casting their votes now and the winners will be announced September 17, 2015. DriSteem delivers this near-zero maintenance steam humidification system through the integration of two proven products, the 200 Series reverse osmosis system and the Vapormist® electric humidifier, on a single skid mount. The low-maintenance humidification system produces high purity water from any municipal or other potable water source, removing over 98% of dissolved solids. This prevents chalky scale build-up from overtaking the humidifier’s water tank, thereby extending intervals between humidifier maintenance by 10x or more, virtually eliminating downtime. 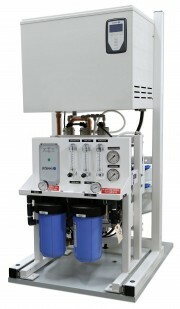 For more information about DriSteem’s Low-maintenance Humidification System, visit www.dristeem.com or call 952-949-2415. DriSteem’s 50-year history of development and innovation has resulted in multiple patented designs that not only meet, but anticipate, customers’ unique needs. DriSteem is a subsidiary of Research Products Corporation, manufacturer of AprilaireÒ, the leading residential humidifier brand, as well as air cleaners, heat-recovery systems and HVAC accessories. Visit DriSteem at www.dristeem.com.